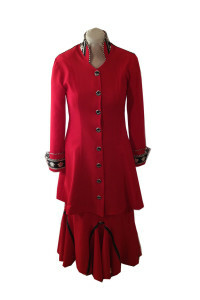 Women's Designer Clergy 2 pc suit with a high collar, tailored cuffs and flared skirt. Visa fabric. 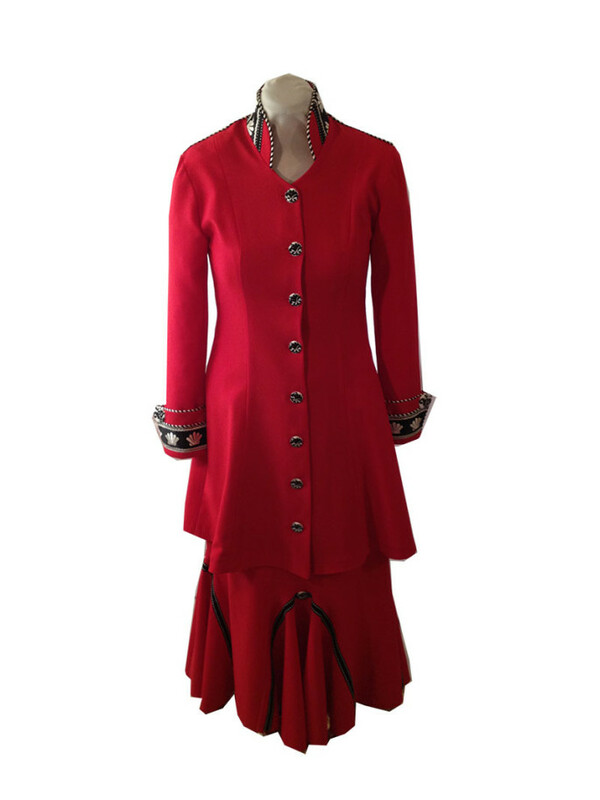 Available in red, white, cream, and black.